Snap36 is revolutionizing the online shopping experience with simple, scalable and cost effective, professional 360° and 3D product photography. YOUR PRODUCT IMAGES ARE WORTH MORE THAN 1000 WORDS. THEY’RE WORTH 1000 MORE ONLINE SALES. Online shopping is not a utilitarian function, but a process of discovery. Snap36 creates engaging experiences that fill in the details and answer unspoken questions. Snap36 creates images with context as consumers shop with their eyes. Words can describe how a product might be used, but 360 degree & 3D product photography shows it in action, providing essential visual information to make a purchasing decision. Snap36 is the premier provider of scalable and cost effective 360° & 3D product imagery. 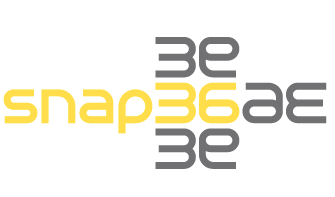 Founded by industry experts who identified an underserved market and were inspired to offer a more visually interactive online experience, Snap36 delivers turnkey photography services and provides the equipment, technology and expertise to implement 360° & 3D photography.